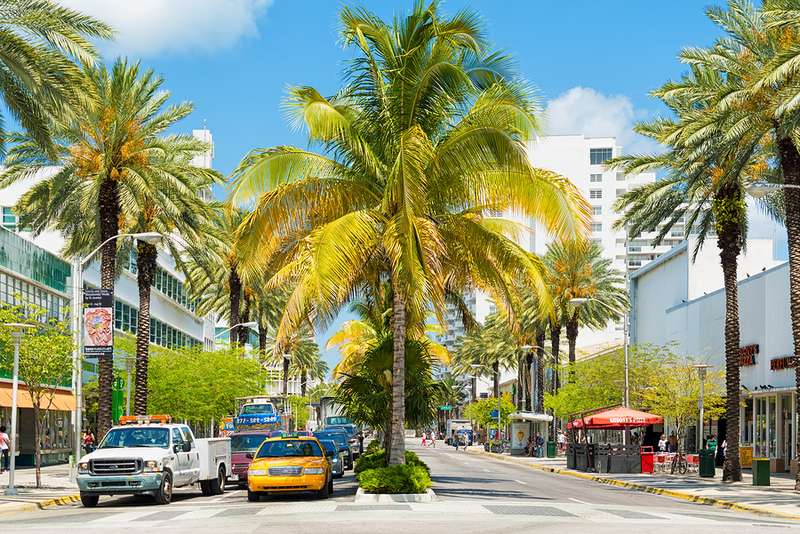 Miami is well known as a place where people can go to relax and take it easy, and there’s no better way to relax and enjoy yourself than with a cocktail in hand. Fortunately, Miami is not a BYOB type of city. Just about anywhere you go in Miami, there’s a poolside bar, a cocktail lounge, or some place nearby where you can get an adult beverage. The options are nearly endless and it’s hard to go wrong wherever you go, but here are some of the best places in Miami to enjoy a cocktail. In some ways, having a drink at the Regent Cocktail Club inside the Gale South Beach hotel is like going back in time. 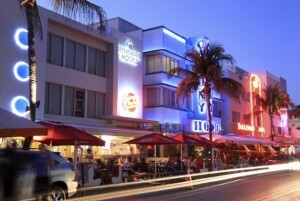 This place creates a delightful atmosphere with the playing of soulful jazz music and an old-school vibe that makes it one of the classiest cocktail destinations on South Beach. The Regent is also home to some of the best bartenders in Miami, as they create unique and delicious variations of classic cocktails on a daily basis. The service, the setting, and the drinks are all top of the line and among the best you’ll find in Miami. If you find yourself in Little Havana, the place to go for a cocktail is Ball & Chain. This place was a happening jazz club when it first opened in 1935, and remained so until it closed in 1957. Fortunately, it was brought back to life in 2014 and has picked up where it left off nearly six decades earlier. Ball & Chain remains a great location to listen to live jazz music, and it has a food and drink menu that is as unique as the bar’s history. The Cuban influence is obvious in the type of signature cocktails they make, giving customers a wide array of unique and tasty options. Between that and the history of the club, Ball & Chain is truly a special place. The Drawing Room at the Shelborne Wyndham Grand South Beach is one of the newest cocktail bars in Miami, and it may be the most unique bar you ever step foot in. This place takes mixology to the next level, treating homemade cocktails as if they are prescription medications. If guests need a stress reliever, a painkiller, or an aphrodisiac, there are cocktails at the Drawing Room specifically designed to solve those problems through the right combination of alcohol, fruit, Japanese herbs, and perhaps a few special ingredients. This is undoubtedly one of the most innovative cocktail bars in Miami, and a place worth checking out whether there’s something that ails you or not. Finally, if you’re in Miami but in the mood for a little taste of New Orleans, simply find your way to the Corner on the outskirts of downtown Miami. The place is a little on the small side, but the ambiance is reminiscent of a New Orleans speakeasy, as are the cocktails offered, which can go toe to toe with any bar on Bourbon Street. Of course, there’s enough South Florida culture in the bar to keep you from thinking you’ve left Miami. Perhaps the best part about the Corner is the fact that it stays open more or less until the sun comes up, closing at 5 a.m. on weekdays and 8 a.m. on weekends, so if you want one last drink or feel like partying all night, find your way to the Corner. Miami is a city known for its great nightlife, so what better place to be on the ultimate party night: New Year’s Eve. South Beach is a great place to party on a random weeknight any time of year, and so on New Year’s Eve, Miami is the best place to be this side of Times Square. If you plan on being in Miami as we ring in 2016, there will be an endless list of places to party, but here are five of the best places to celebrate New Year’s Eve in Miami. This will be the first time that legendary musician Billy Joel has ever performed in South Florida to ring in a new year, would could make this a once-in-a-lifetime experience. The Piano Man will be playing all the hits from his extraordinary career at BB&T Center in Sunrise, which is just a short drive from downtown Miami. The concert starts at 9:30, but should last until at least midnight, considering all the hits Joel has had in his career. Afterwards, there’ll still be plenty of time to find some more traditional New Years Eve parties, giving you the best of both worlds. 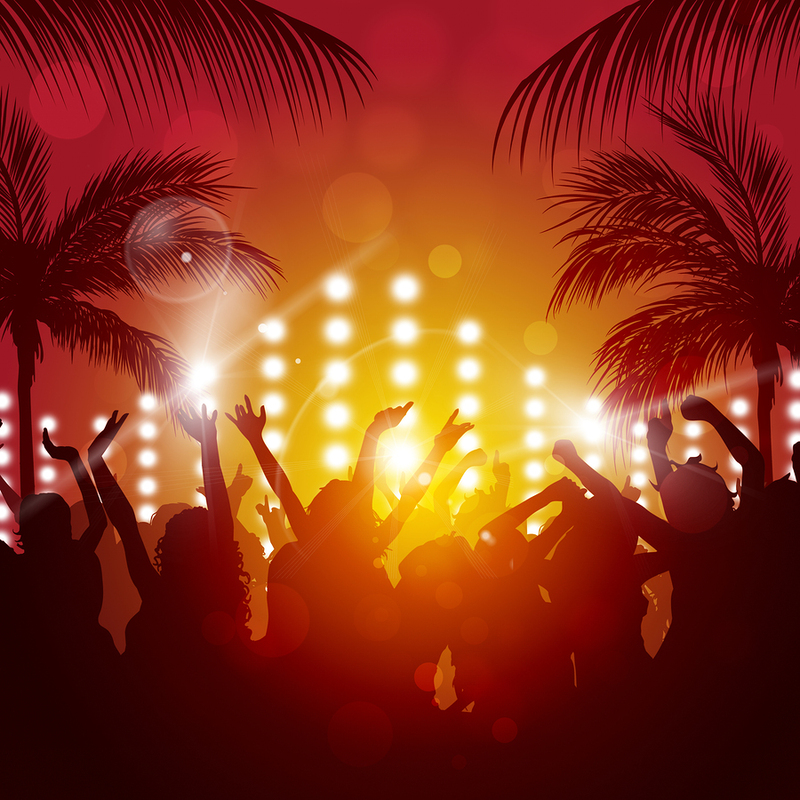 For a genuine Miami Beach party on New Year’s Eve, check out Nikki Beach’s Glitz and Glam party near the southern tip of South Beach. Aside from being in a beautiful location and being able to feel the sand between your toes, the Glitz and Glam will have a New York-style ball drop, signature South Beach entertainment, and more than enough champagne to go around. If you’re interested in partying at the beach on New Year’s Eve, party at Nikki Beach, the high-end nightclub that’s actually on the beach. One of the best hotels in South Beach will be throwing one of the city’s best New Year’s Eve parties. The hotel’s stunning pool and patio will be ground zero for what is being called Glow New Year’s Eve 2016. There will be unbelievable neon and LED light displays and great DJs supplying the entertainment, not to mention an oceanfront locale that will give guests a perfect view of the fireworks display put on by the city of Miami. Space is limited, but pre-sale tickets start at a mere $25. One of Miami’s favorite sons, Pitbull, will be throwing a New Year’s Eve party at Bayfront Park in the heart of downtown Miami. The party is being dubbed Pitbull’s New Years Eve Revolution, and will be part of the New Year’s Eve coverage on FOX television. Entry into what will be one of the biggest and best New Years Eve parties in South Florida is free, and once you get there you’ll be privy to great food, an eye-popping fireworks display, and performances from some A-list entertainers. Pitbull’s Revolution starts at 8 p.m. on New Year’s Eve. If you want to shoot for the stars with your New Year’s Eve plans, then you’ll want to make plans to attend Miami’s Five Star New Year’s Eve Party. Tickets may be a bit pricy, but you’ll be gaining entry into one of the best and most exclusive parties in Miami. The party takes place on Watson Island, just off the coast from downtown Miami, giving you an amazing view back across the water towards the city’s skyline. A ticket to the party gives you a high-class dinner, cocktails, and even a breakfast after the ball drops. In the meantime, you’ll be treated to premium drinks from talented bartenders and performances from a slew of amazing DJs. If you want to celebrate the New Year with class and style, this is the party to go to. 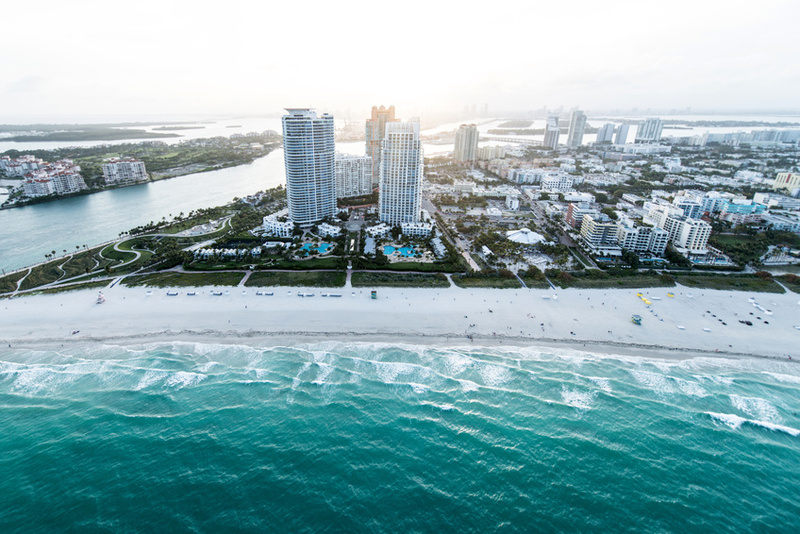 With its ocean-adjacent location, pristine beaches, and intra-costal waterways, there’s no denying that Miami is a beautiful city with some unbelievable scenery. Of course, while your eyes may like what they see wherever you go in Miami, not all views are created equal; some are far more spectacular than others. 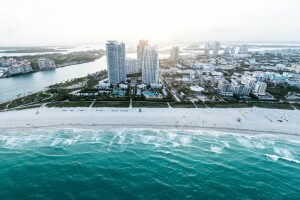 If you really want to be blown away by the South Beach scenery, here are a few places to go for the best views in all of Miami. The Mondrian South Beach Hotel may be home to the best sunset view in Miami. The hotel sits on the west edge of South Beach, so it’s on the shore of Biscayne Bay, not the Atlantic Ocean. The view from the hotel looks west over the bay and back towards the skyline in downtown Miami, which makes for a great view with the sun setting behind it. Most guests can watch the sunset from their balcony, and those that can’t are able to see such a gorgeous sunset from the hotel’s Sunset Lounge. Of course, even after the sun goes down, the lights from downtown Miami towering over the bay isn’t a bad view either. At the southern tip of South Beach is South Pointe Park, which is a place to enjoy spectacular views of both the Atlantic Ocean and Biscayne Bay, depending on which end of the park you’re enjoying at the time. From South Pointe Park, you can also see downtown Miami, the port of Miami, and Fisher Island, which is home to many famous people. There are a wide variety of activities to partake in at the park, and all while you’re surrounded by amazing views. When it’s time for the sun to set, head to the pier and you’ll be able to see something special. On the eastern side of South Beach is Lummus Park, which is home to some of the best ocean views anywhere in Miami. The park is in the heart of the Art Deco District of Miami, so to one side you have beautiful views of the ocean, beach, and palm trees, while on the other side you can enjoy the view of several famous Art Deco buildings. Even if you don’t want to go down to the beach, Lummus Park features a long bike path that allows you to take in the great view while enjoying a leisurely afternoon bike ride. Of course, since the park faces east over the Atlantic Ocean, if you can get there before dawn, this is a great park to enjoy watching the sunrise over the ocean. Finally, the place in downtown Miami to go for a great view is Viceroy Hotel and Resort. If you’re lucky enough to have a room that faces east, you’ll be treated to spectacular views of both Biscayne Bay and the Atlantic Ocean. The hotel also features a rooftop infinity pool, and while the pool itself is nice, the view is what blows you away. The hotel’s unique location and rooftop pool give it one of the best and must-see views in Miami. December is here, and with it the holiday season. Miami may not be the most traditional place to spend the holiday season, with its warm weather and lack of snow and all. But if you’re interested in spending the holidays in a warm climate with plenty to do, Miami is the perfect place. In addition to beautiful beaches, warm pools, and a great nightlife, there’s a lot going on in Miami this time of year. Here are a few events happening in Miami this December that you should know about. Everyone loves driving around this time of year and looking at the Christmas lights people have assembled on their houses and in their yards. Well, this is Miami’s version. On December 12, there will be sailboats, yachts, gondolas, and kayaks of all shapes and sizes making their way through the intra-costal waters from Fort Lauderdale to Pompano Beach decked out in Christmas lights, not to mention other forms of decoration that fit this year’s theme of “Passport to Paradise.” If you take up residence for the day anywhere along the intra-costal waters, you are sure to see some spectacularly decorated water vessels, which is why the Winterfest Boat Parade has become one of the favorite holiday events in South Florida. The best part is that it’s completely free; you just have to sit by the shore and enjoy. The King Mango Strut is another wonderful parade to enjoy during the holiday season. This parade was originally conceived as an answer to the King Orange Bowl Parade and has now blossomed into an event nearly as big. The King Mango Strut takes place the last Sunday of the year and allows anyone to participate. The floats aren’t professionally made; participants simply find a way to parody or poke fun at anything that has happened or been relevant over the past year. The result is a fun, laid-back parade surrounded by a party atmosphere. If you don’t want to participate, which you’re free to do if you please, simply come to the Downtown Coconut Grove between Green Street and Coco Walk, and enjoy the most unique parade you’ll ever see. The parade starts at 2:00 p.m. with a street party afterwards. Few things say Christmas like the Nutcracker, and being in Miami during the holiday season will afford you the chance to see it firsthand. If you like ballet, great dancing, or you’re just a big fan of Christmas, going to see the Nutcracker is a great idea. There is both a 1:00 p.m. and 5 p.m. show on December 27 at The Fillmore Miami Beach in the heart of South Beach. Ticket prices are quite reasonable, starting at $44. If you’re a sports fan and planning on being in Miami in late December, you have to check out this year’s Orange Bowl taking place at 4:00 p.m. on New Year’s Eve. This year’s Orange Bowl will be a little different because it’s acting as one of two semi-final games for the College Football Playoff, which is in its second year of existence. The game matches up the top-seeded and undefeated Clemson Tigers and the Big 12 champion Oklahoma Sooners, a rematch of a bowl game last year that Clemson won 40-6. This is shaping up to be the second most important game of the college football season and a can’t-miss event for any Miami sports fan.